Designjunction is a 4-day event being held from 19th September to 22nd September 2019 at London, United Kingdom. This event showcases high quality paints and wallpapers, based designer, craftswoman, colourful designs which are printed in the UK onto papers and fabrics for a variety of products. Launched in 2011 by a team of design industry experts, designjunction connects the world’s most renowned design brands, with the world’s leading architects, interior designers, specifiers and buyers. Designjunction has firmly established its reputation for transforming some of the most exciting and ambitious locations in London into premier design destinations. 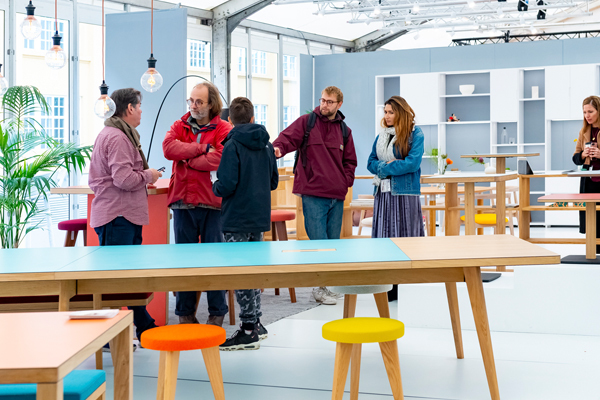 In 2018, designjunction transported to the iconic and cultural South Bank, which attracts 25 million visitors each year. Surrounded by iconic architecture, designjunction expanded over three sites; Doon Street site, Oxo Tower Wharf and Riverside Walkway, all of which are owned and managed by Coin Street Community Builders.